What is a Mortgage Interest Rate? Your mortgage interest rate indicates the annual cost to borrow money from your lender. The rate is expressed as a percentage of your total loan balance and is paid on a monthly basis, along with your principal payment, until your loan is paid off. A 5% mortgage rate, for example, means you will pay 5% of your total loan balance in interest each year. You will pay more in interest at the start of your loan. As your loan’s principal balance goes down over the years, so does the amount of interest you pay each month. Mortgage interest rates vacillate depending on larger economic factors and investment activity. The secondary market plays a role. Fannie Mae and Freddie Mac bundle mortgage loans and sell them to investors looking to make a profit. Whatever interest rate those investors are willing to buy the mortgage-backed securities for determines what rates lenders can set on their loans. If the economy, stock market, and foreign markets are strong, investors require higher interest rates to make back their money. This causes lenders to raise their rates. Bond investment activity can also impact mortgage rates. In addition to market and economic factors, the rates you’re offered also depend largely on your own financial situation. Things like your credit score, credit history, debts, income, and other considerations will all play a role in what rates a lender can give you. Generally, the riskier you are as a borrower and the more money you take out, the higher your rate will be. Rates also vary by lender, which is why it’s always important to shop around when looking for a mortgage. Each lender has its own overhead and operating costs and thus has to charge differently in order to make a profit. To make sure you’re getting the best rate, you can either apply with several lenders at once or go to a mortgage broker, who can do the shopping for you. Brokers can often find lower rates thanks to their industry connections and access to wholesale pricing. Regardless of which route you choose, make sure you’re comparing the full loan estimate— closing costs included—to accurately see who’s pricing is more affordable. Mortgage rates don’t directly impact home prices, but they do influence housing supply—which plays a big role in pricing. As mortgage rates rise, existing homeowners are less likely to list their properties and enter the market. This creates a dearth of for-sale properties, driving demand up and prices with them. When rates are low, homeowners are more comfortable selling their properties. This sends inventory up and turns the market in the buyer’s favor—meaning more options and more negotiating power. All this depends on how much rates rise, though. If rates rise for too long or get too high, it could stifle demand—even for the few properties that are out there. That would force sellers to lower their prices in order to stand out. If you’re not happy with the interest rates that lenders are offering you, you can always pay discount points to lower your rate. Discount points are essentially a form of prepaid interest. One point costs 1% of the total loan balance and lowers your interest rate for the life of your mortgage. The amount it lowers your rate depends on your individual lender and the current market. 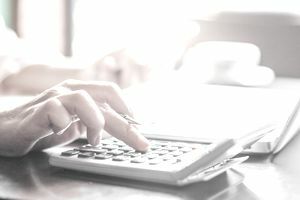 This is often called “buying down your rate.” To determine if this is the right move for you, make sure to calculate your break-even point—the time it will take for you to recoup the costs of the points you purchased. Will you be in the home long enough to make it worthwhile? The longer you plan to be in the home, the more discount points make sense. Should you buy discount points or put that money toward a down payment? Why Did Your Monthly Mortgage Payment Change? Can a Mortgage Broker Help You Buy Your Next Home?